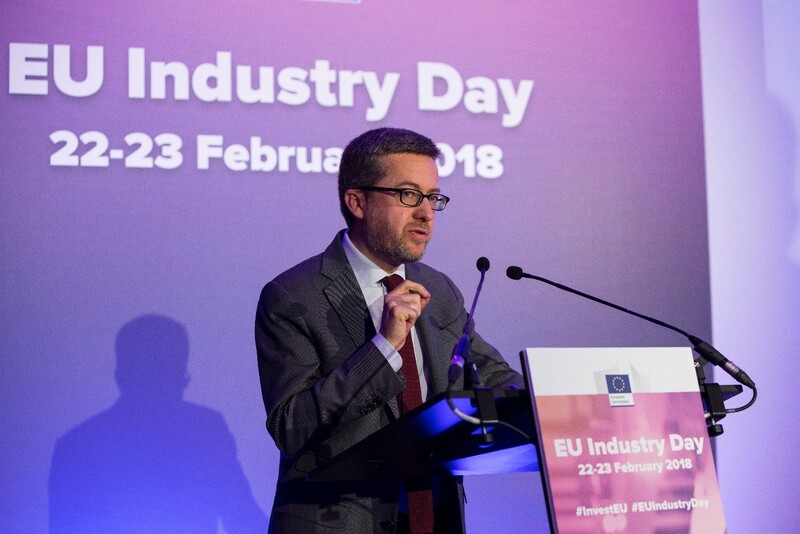 In his speech at the EU Industry Day, Commissioner Carlos Moedas (Commissioner for Research, Science and Innovation) delivered a significantly pro-partnership message. Addressing the role of industry in the future of EU collaborative research and innovation, Commissioner Moedas stated that industry has and will continue to have a very important role to play. Furthermore, he stated that “...we need to take forward the Public Private Partnerships. Learning from the experience in Horizon 2020”. Highlighting the success of the current partnership approach, the Commissioner singled out Factories of the Future project KRAKEN as key example of successful pre-competitive collaboration – both in terms of the ambition of the project and in terms of the model (i.e. the public-private partnership). Alluding to the potential future structure of FP9, Commissioner Moedas stated, “I see it almost like the propeller of a plane, with three strong blades: the first is science; the second is start-ups; and the third is industry”. Commissioner Moedas’ positive message is important in the context of the preparations for the next research framework programme (i.e. FP9). With the draft structure of FP9 nearing finalisation, the Commissioner’s speech is a signal that industry and collaborative research in the manufacturing context will continue be an important part of the overall programme.